First, gather all the stuff. This photo shows what I used. 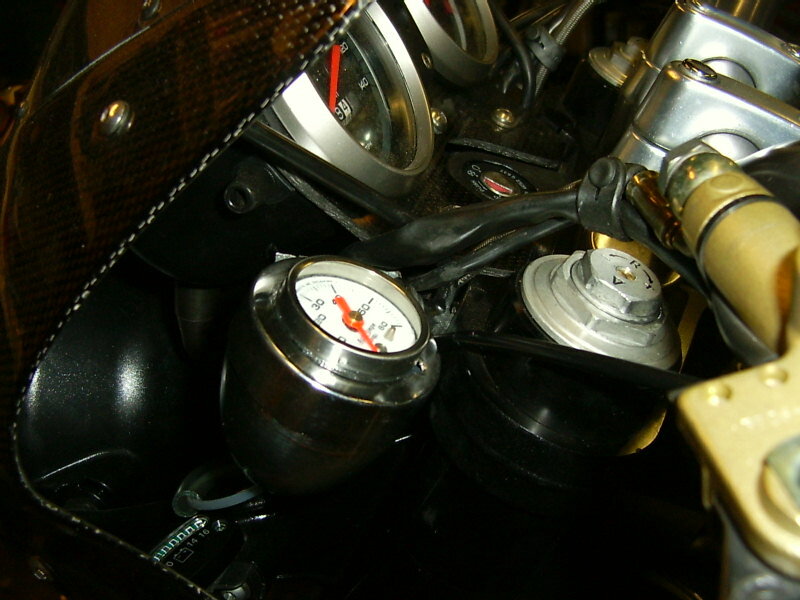 The gauge is a really good one, but it only reads to 60 psi and has no light. I decided to use it because I valued accuracy at full temp for this project, above other considerations such as seeing it at night and knowing what peak cold pressure would be. 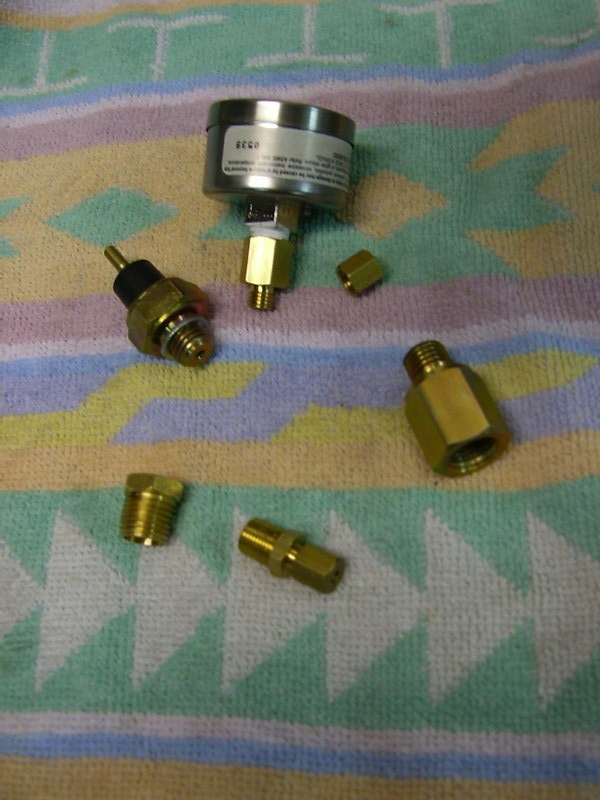 Items include the gauge, a brass 12x1.5mm to 1/4 NPT adapter, a brass 1/4-to-1/8 NPT adapter, a 1/8 NPT adapter, and the fittings for the oil line. 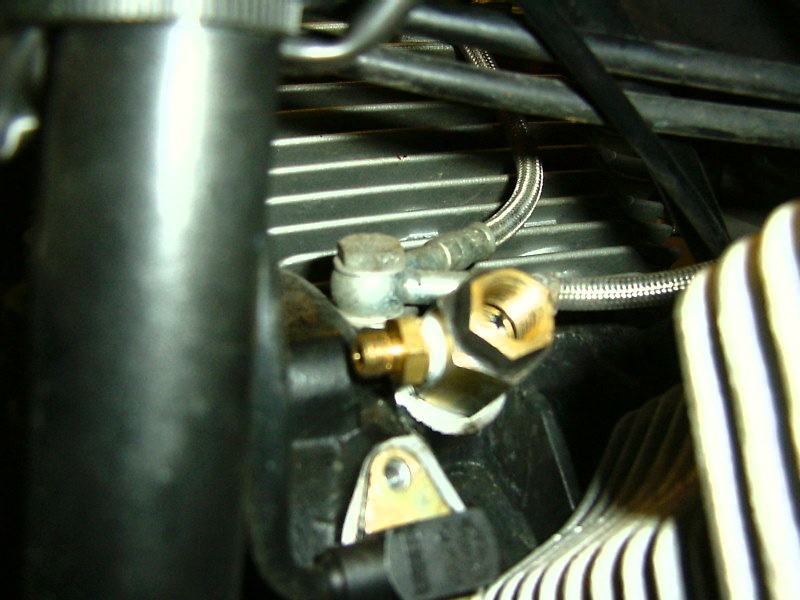 The first step was to tap the 1/4-to-1/8 NPT adapter to 12x1.5mm so I could thread the stock pressure sensor into it. 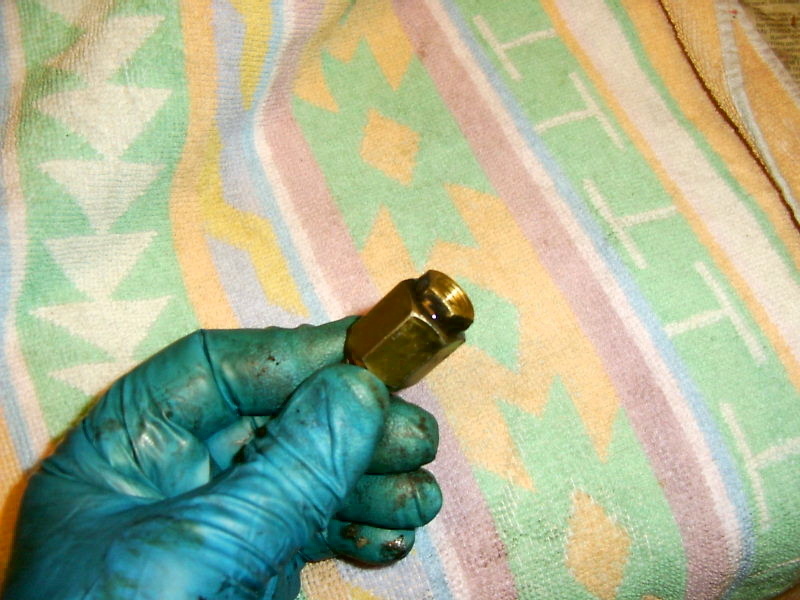 I first drilled it undersized to keep as much wall thickness as possible, and then carefully tapped it, stopping just as the tap's widest part first threaded into the brass. Even with such care, the wall thickness was marginal, so I decided to make both pieces one by using JB Quick Weld as the sealant when I threaded the two adapters together, as shown above. 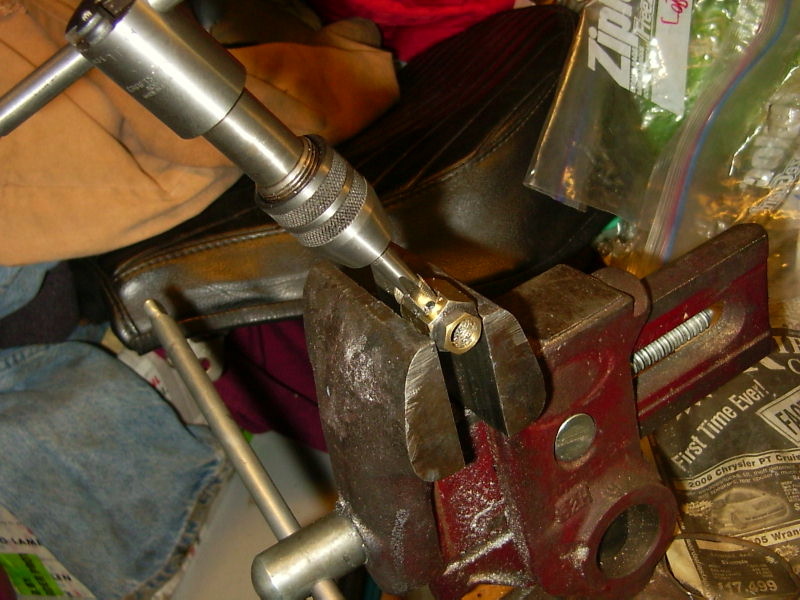 The next step was to index the compound adapter so that the 1/8 NPT adapter would exit at the front. 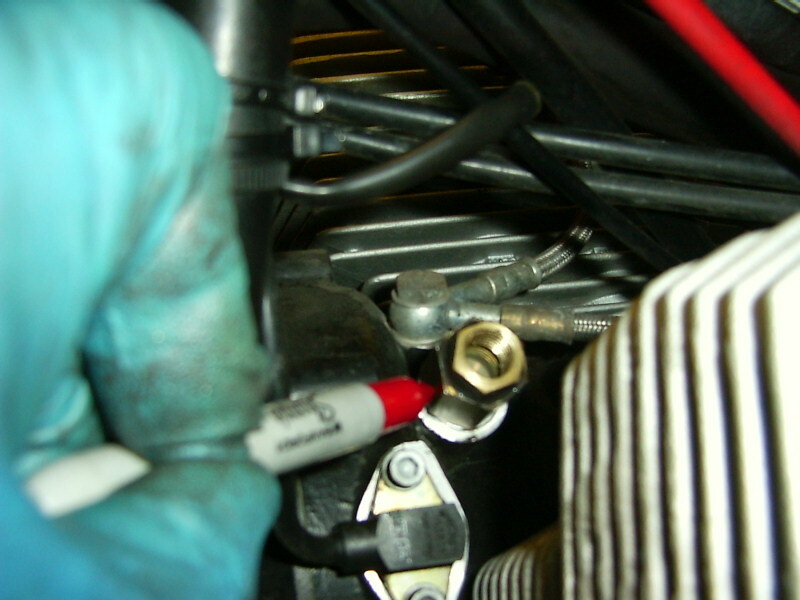 I then drilled and tapped it to 1/8 NPT, and installed the adapter, using sealing compound just to be sure. Here's the adapter in place on the block. 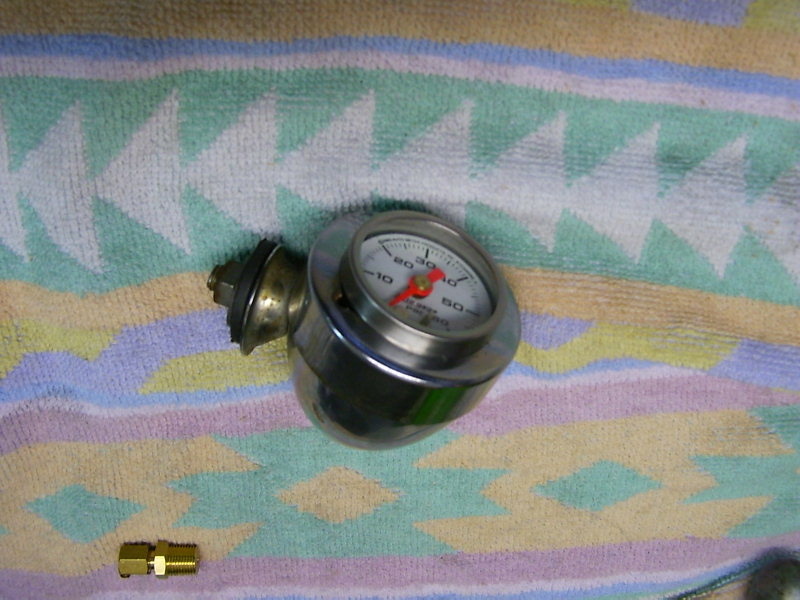 Next, I improvised a holder for the gauge. 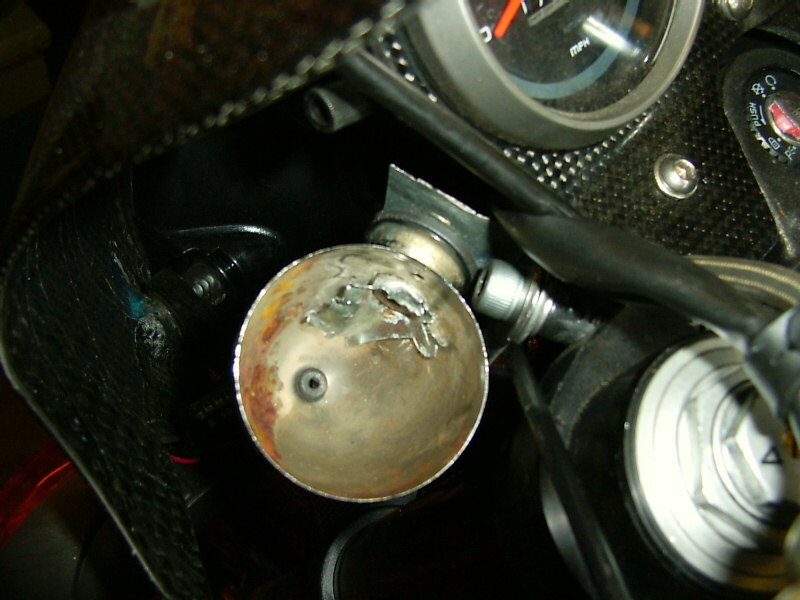 I had an old Harley bullet light housing that looked like it would work, so I gutted the housing, drilled a hole in the back of it for the oil capillary tube, installed a grommet to protect the tube, and opened up the front a bit to accept the gauge. 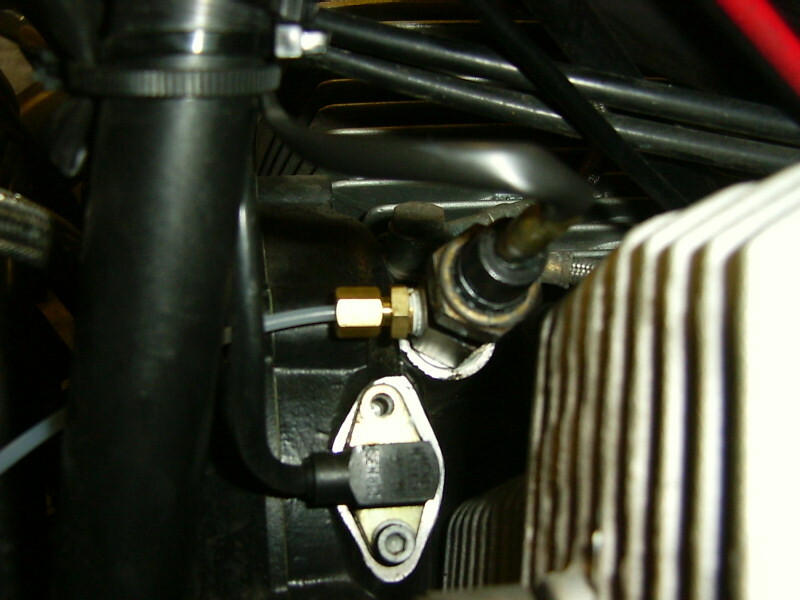 Here's what it looks like—kinda ghetto, but not as ghetto as the exposed gauge would be. 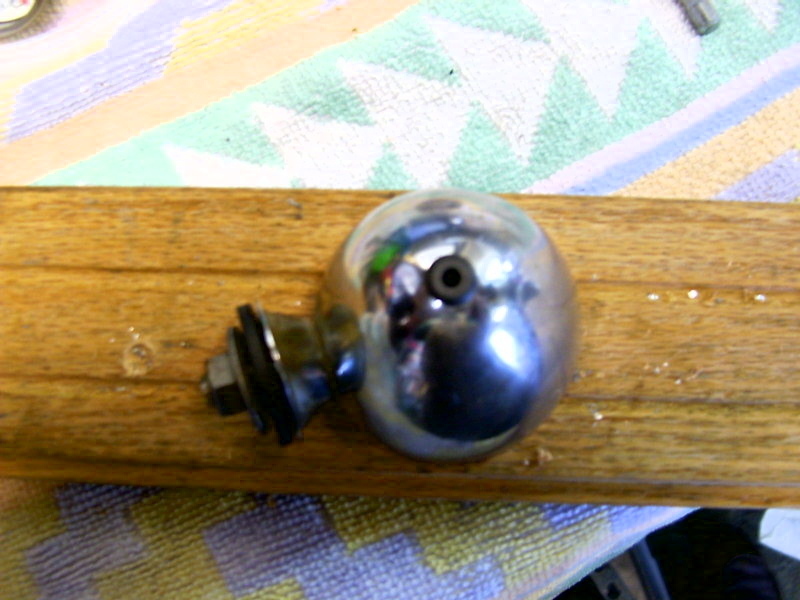 Then, I cut, drilled, and bent a little bracket outta stainless and bolted the bullet light to it. All that remained was to route and connect the line and protect it with a sheathing of clear tubing. Here's the finished project. Not up to Orange County Chopper standards, perhaps, but not bad for a quicky, improvised morning project.